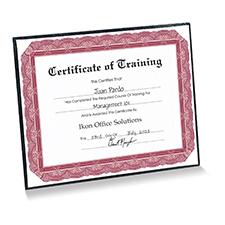 You want to present employee award certificates in a quality frame to add value, while staying within budget. We understand. Our attractive, affordable display does both -- employees can keep their award certificates looking good, and you can make it happen at an affordable price. while the white satin corner tabs hold the certificate securely behind a clear protective cover. 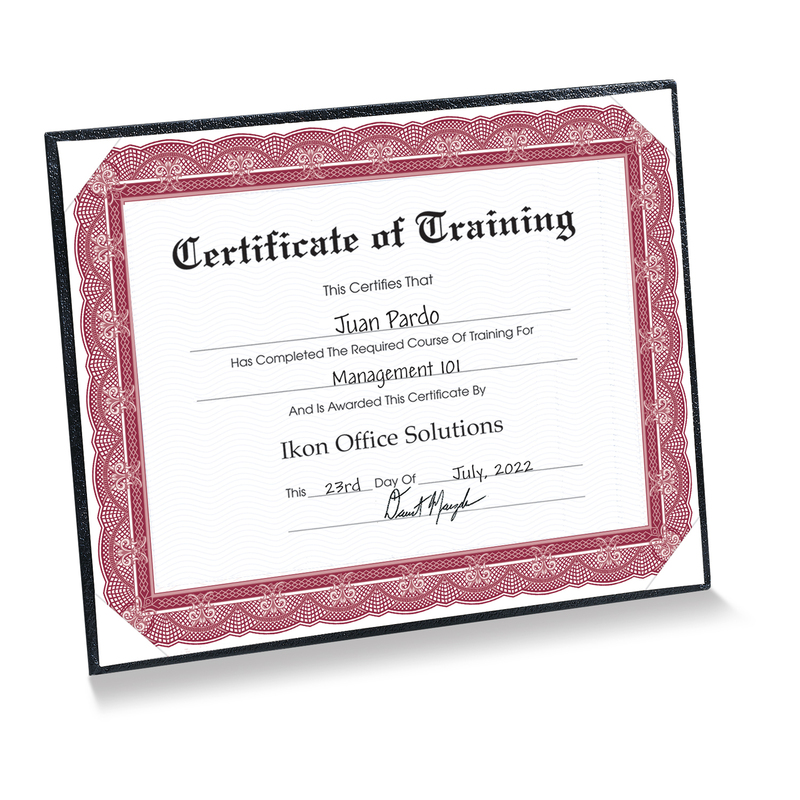 Holds 11" x 8 1/2" certificate or document. Features handsome border, protective cover, and secure white satin tabs. Easel on back unfolds for desktop display, or use tabs to hang on the wall. Size: 11 1⁄2" x 9".